But it had been a while so I decided to make it for dinner. Also grilled fresh pineapple, peppers and limes. 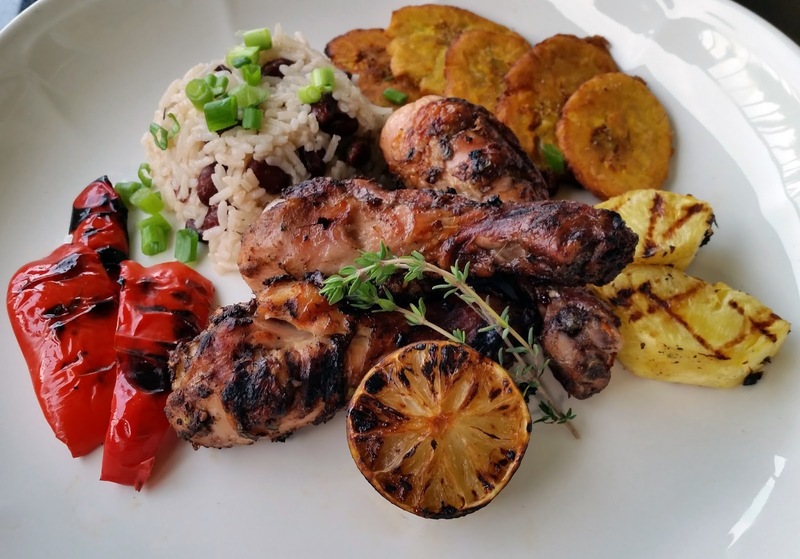 The Jerk Chicken was served with rice and beans and tostones. Add the ingredients to a food processor or blender and process. You may thin the sauce with water to your liking. I prefer this to be more of a paste then a liquid marinade. Looks like a great meal to take yourselves to the Caribbean. What a fantastic dish, Ann. I particularly love the idea of a paste. I've never made a Jerk blend, but that will change as soon as my habanero plants produce fruit. Pinned for future reference! Ann, 'I can't imagine why,' but my mouth is watering at the moment. 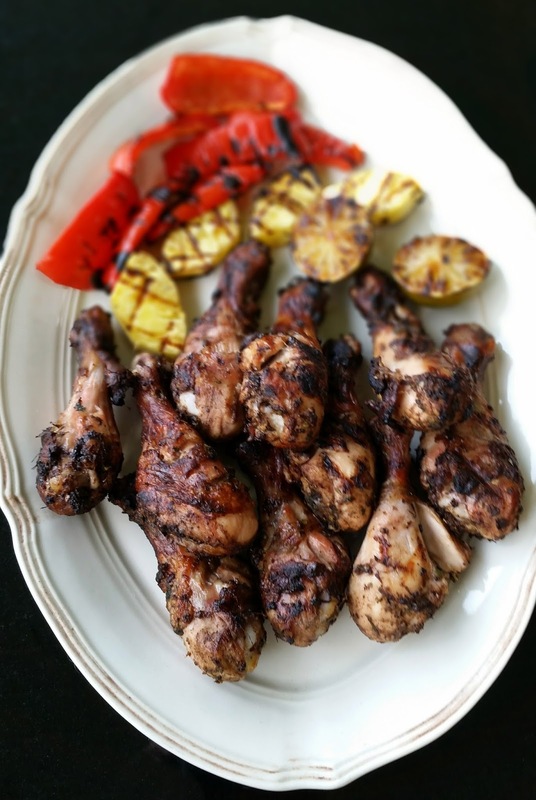 It's grilling weather again and this looks delicious, Ann. I love putting the whole meal on the grill.